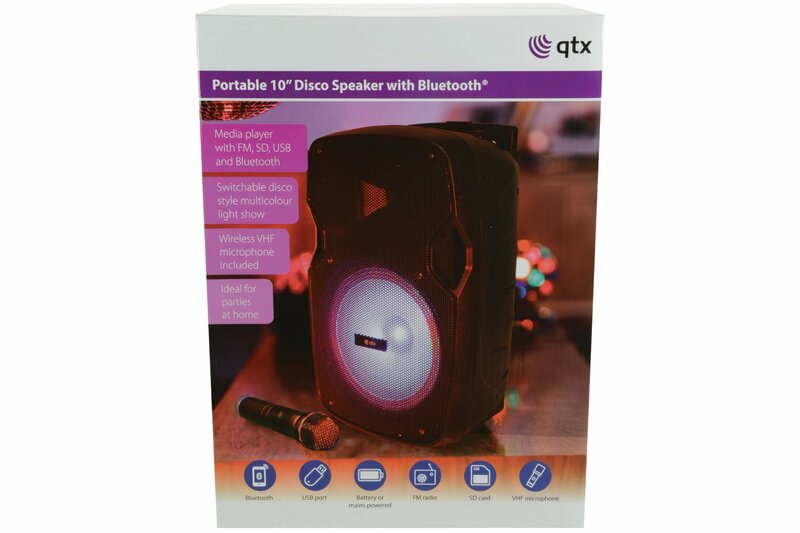 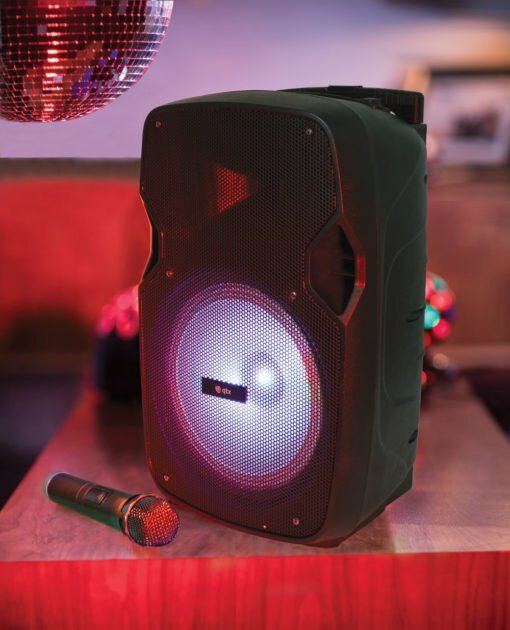 Turn up the music with a funky Bluetooth speaker with a built in Light show; the QTX PAL10 Portable PA Unit with Bluetooth LED FX. 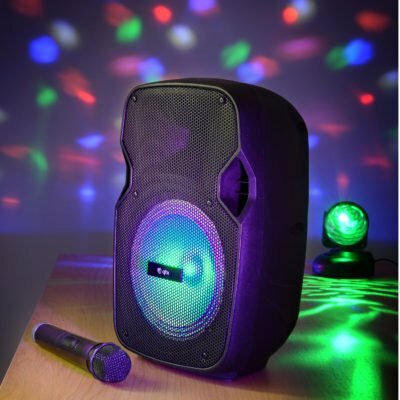 Portable with a rechargeable battery, VHF microphone and USB/SD/FM/BT player for house parties, singers and performers. 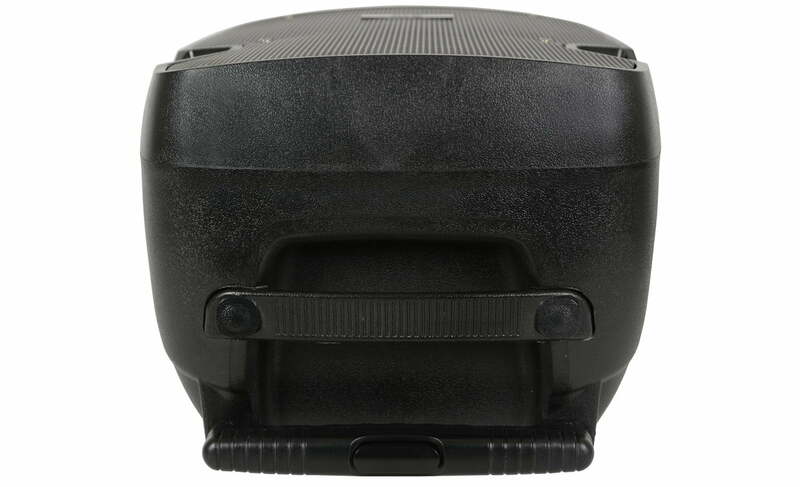 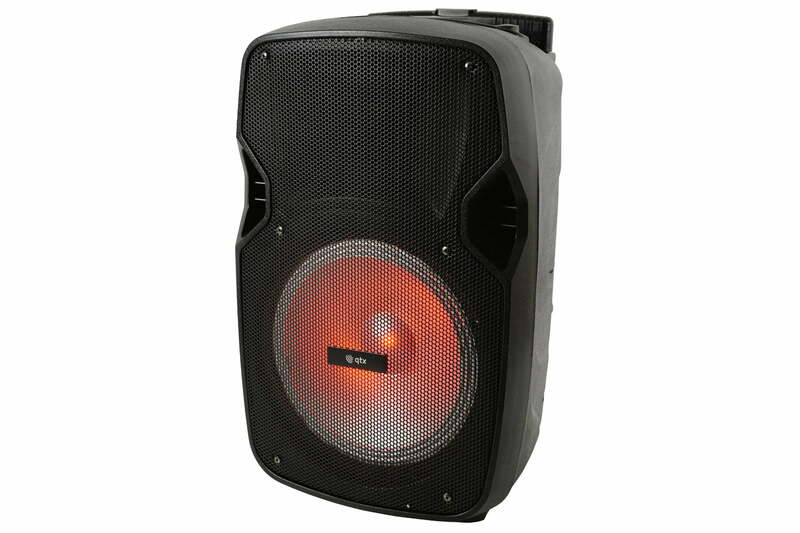 Compact portable PA units with sturdy moulded cabinet and carrying handle. 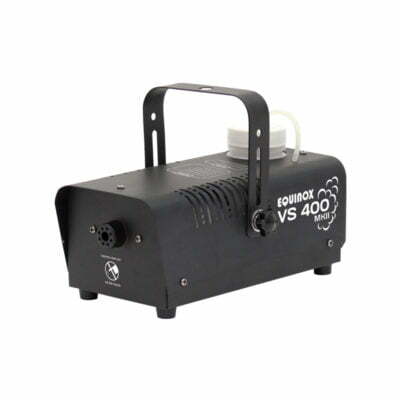 Powered via the supplied power adaptor; external 12Vdc or internal rechargeable battery for true portability. 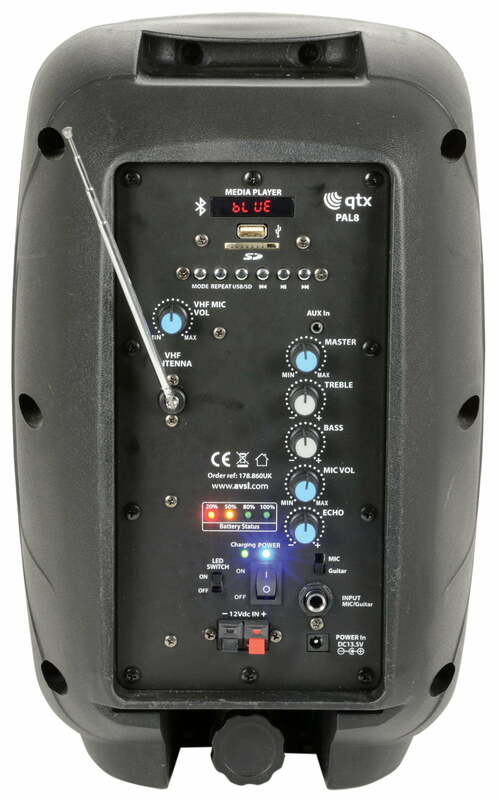 Built-in VHF wireless microphone system and USB/SD media player with FM tuner and Bluetooth receiver. 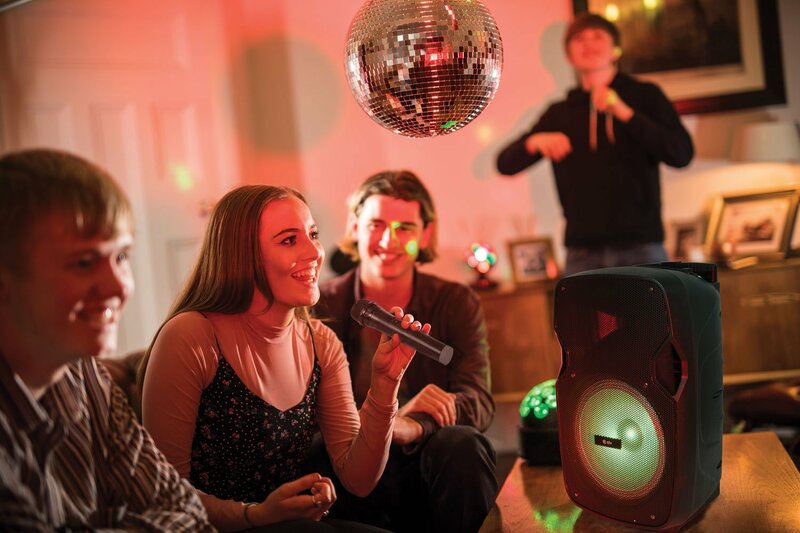 Complete sound system for house parties, singers and performers!